Learn to Analyze Stocks Like a Pro! We’d like to share some of our favorite investment sites with you! We at Cabot Wealth Network browse a variety of investment websites on a daily basis in addition to our proprietary research. 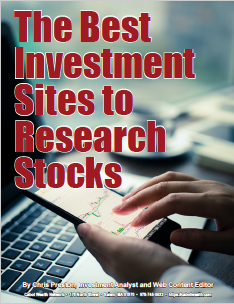 In this special report, we’d like to share some of our favorite investment sites with you! Do your research where the Pros go! We invite you to join us on the path to becoming a better, more confident, richer investor by downloading your free report, The Best Investment Sites to Research Stocks, and signing up for our free investing advisory, Wall Street’s Best Daily.